Web Archive is a great tool. You could check how a website looked before and what difference it make. For webmaster and domainer its a great tool. TheTechJournal.com Published about the new Google Dashbpard. 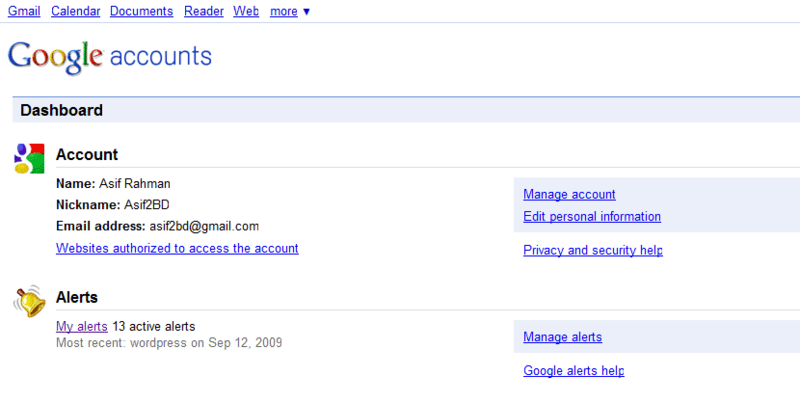 For More Easy Access to All Google Service Google Introduced Google Dashboard. Ever wanted to take a step back and look at all the Google apps and data you're hooked into? Google's offering that top-down view with Google Dashboard, a central clearinghouse for app settings, privacy information, and use statistics. I designed it about 4 months back in just 30-min. I forgot to release it. 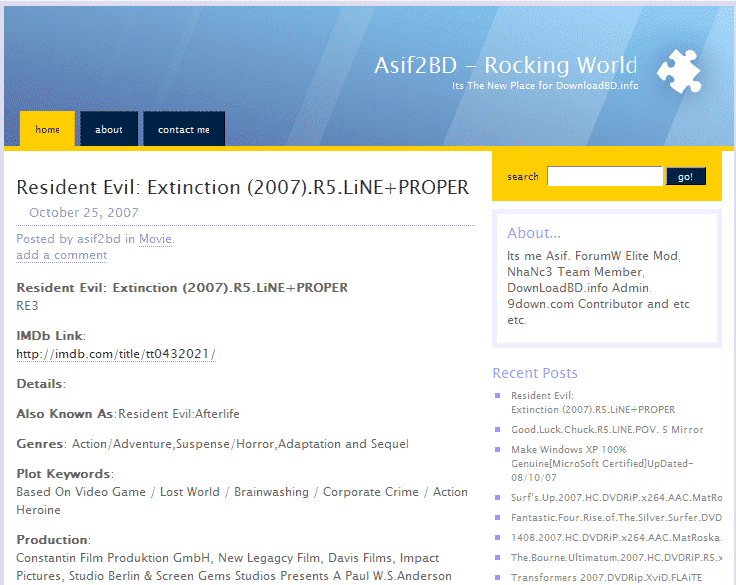 As we ARCom decide to release theme on regular basis from ZCed.com so i was looking at our unreleased theme. I found few, its first one of that chunk. More to Come. Its My Developed Theme For ARCom and Released Under ZCed.com. Its a Simple Development Blog Theme. A Small But Significant Update From Alexa.com. Now They are now showing Country Ranking on top menu. The confusing part is how they are deciding the country to show. In my exploration i find out its showing the country where that specific site have better rank. Like for Asif2BD.info, it has Alexa rank of 750 in Bangladesh so its showing Bangladesh. But when i was exploring more i find out, its showing USA for facebook, where FaceBook.com have Rank 3 in USA, but Facebook has rank 1 in Bangladesh, but its still showing USA as showing country, so it seems its consider origin country too, like where its owner information or where is its server. Its not confirmed news, but after Caffeine update, its might be in motion. 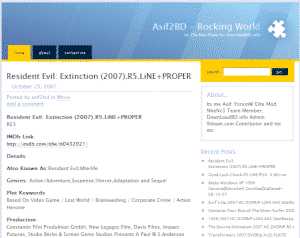 Last update was around February, 2009. Its already about 7 Month, Means 210+ Day. And main reason is we are sensing some change in PR among BlogSpot Blog. We generally know BlogSpot blog got PR update frequently then sites. But Depending on few source and community feedback BlogSpot Blog's PR changing. 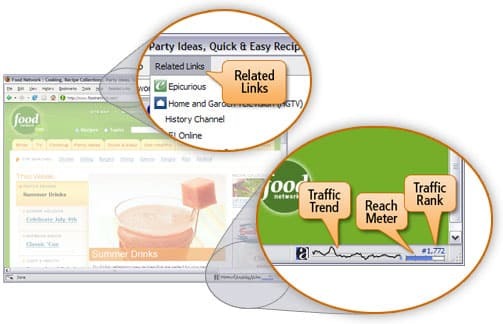 Most possibility is Google Changing some algorithm, they might be considering Yahoo LinkBack with more priority. So People fasten your set-belt, PR update might come in 24-72 Hr. And might last time, for sometime all PR server might starts to fail and showing 0 PR for most site. Just dont worry. Exact PR will come to your site in time. All Webmaster must have it, even normal people could have it, it shows WebSite ranking and page rank, it could help anybody to understand about visiting site. And it's not like annoying toolbar, it just show rank at the very bottom of the browser, it does not make browser slow. Its a must-have tool for everyone. Just try it on. BTW its great for SEO purpose. This post is obsolete now, as Firefox discontinued Addons from version 57! Here is details and direct download link from Alexa. And yes you must have Firefox. But I think all webmaster already got Firefox, the only webmaster with mac use Safari still. They should try Firefox with Alexa Tool bar, it's really worthy. Get Download Link From Below With Feature List.